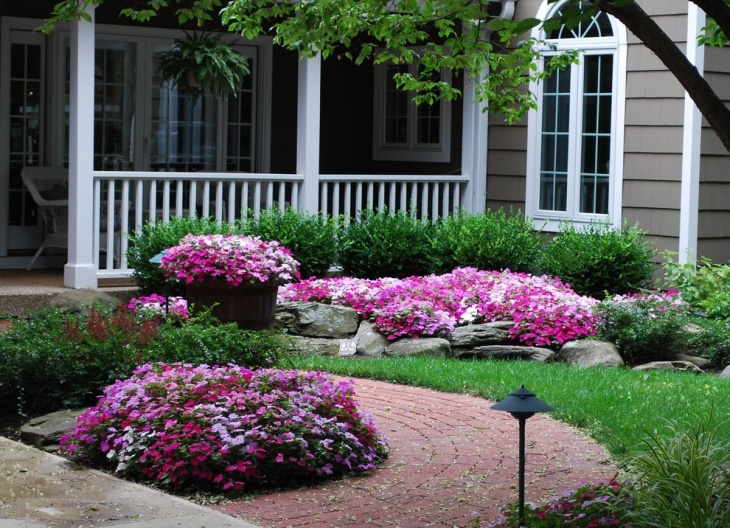 The front yard of a home is one of the most experimented areas when it comes to designing. A front yard gives an impression about the taste of the owner of the house. 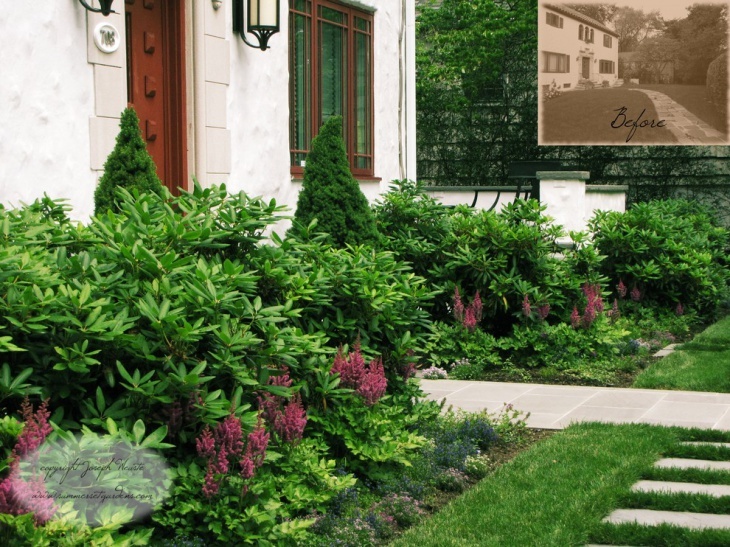 A well-designed and landscaped front yard can mould your image, besides delivering a pleasant look to your home. 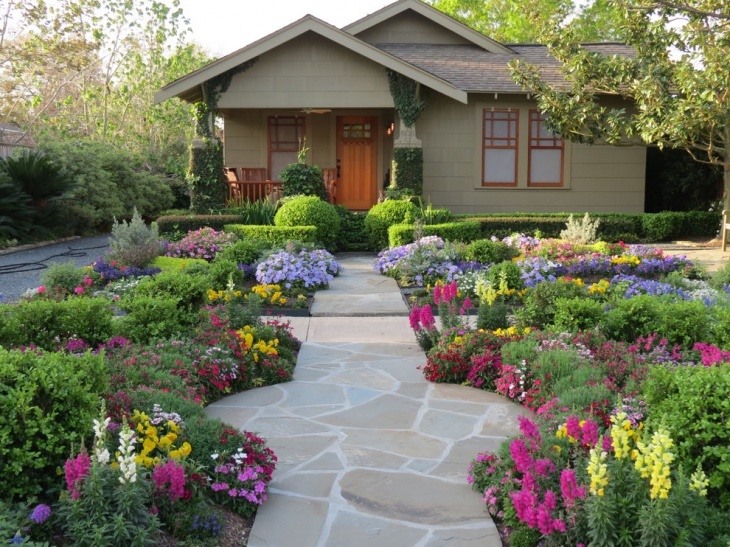 There are a number of front yard landscaping ideas, and here you will find ten concepts for landscape design that you can incorporate in your front yard. In small bungalows of cottages, there is a small front yard, and it can be beautifully moulded in a compact way into a blissful entrance leading to your home. 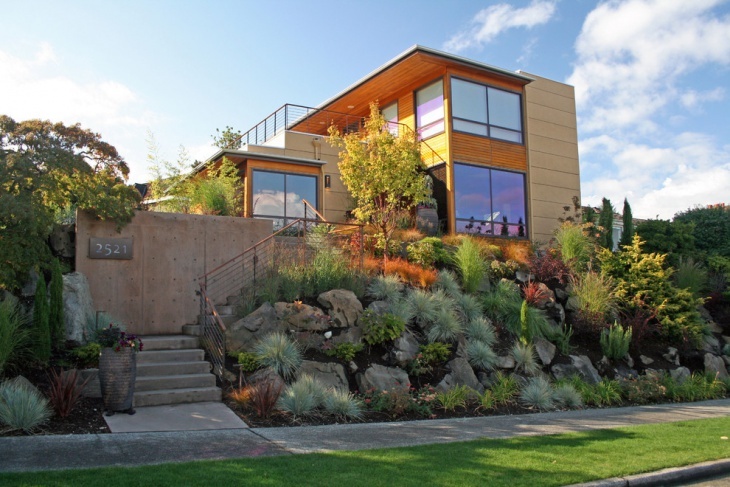 You can design it in a ranch-style with rocks and shrubs around. 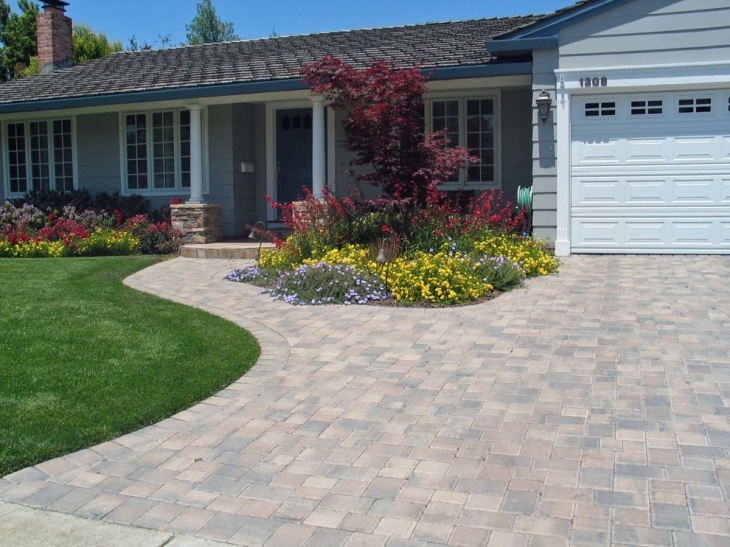 Get some potted plants and pave the path leading to the door with square pavers. 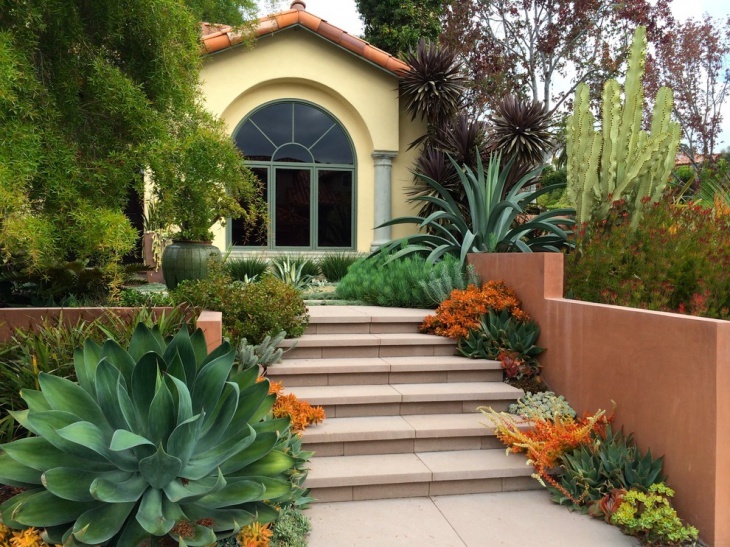 In this setting, you need to make the perfect match with perennial a well as tropical flowers, so that the entrance of your home looks colorful and vibrant. Hang some plants from the walls of the balcony, and a porch swing in the balcony will bring the most natural finish to the yard. 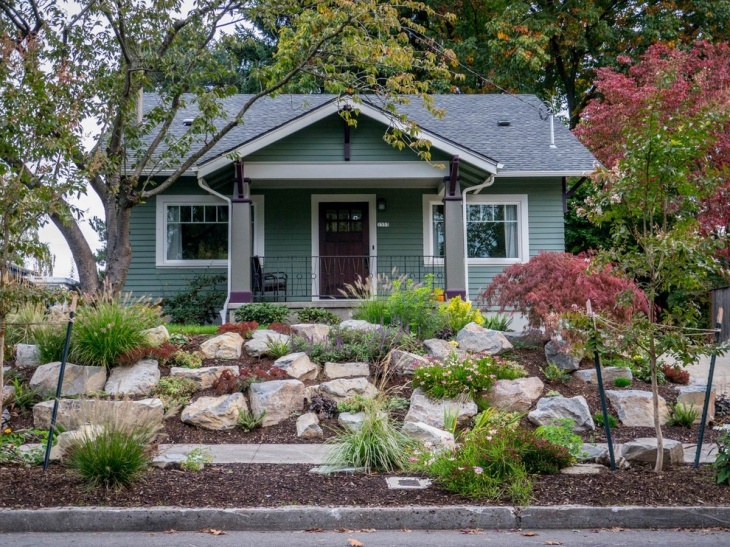 You can get a green patch in your front yard with the perfect incorporation of plants and rocks. This looks like a small rock garden. 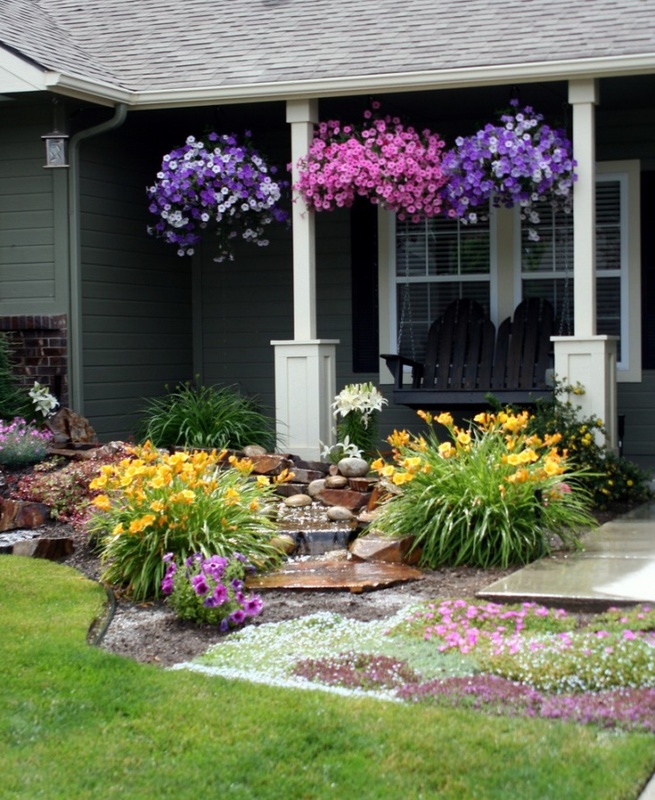 Place white rocks on a raised platform in front of your house and in the spaces between, plant some flowering plants and bushes. 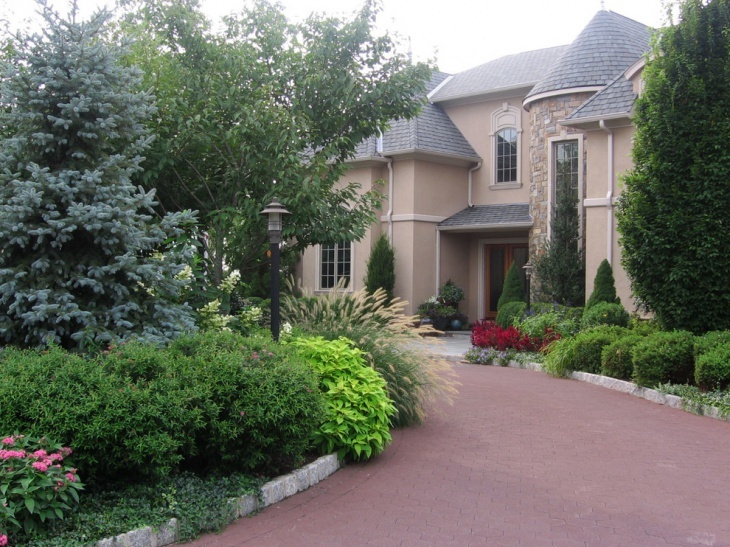 This is one of the best Residential Landscape Designs for houses that have a wide driveway leading to the house. Palm trees line the path paved with bricks, and there are arched flower beds on the rolled turf that grows colorful flowers. It is a great treat to look at. The front yards of resorts are often themed like natural topographies. in this setting, you will enjoy a desert look with no grass at all. There are patches of cactus here and there these go well with an arched walkway leading to the house. 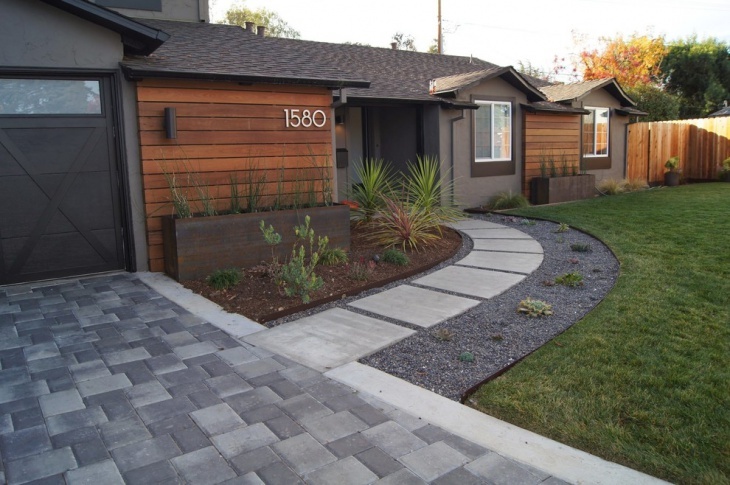 Rounded pavers in the walkway are ideal for this setting. 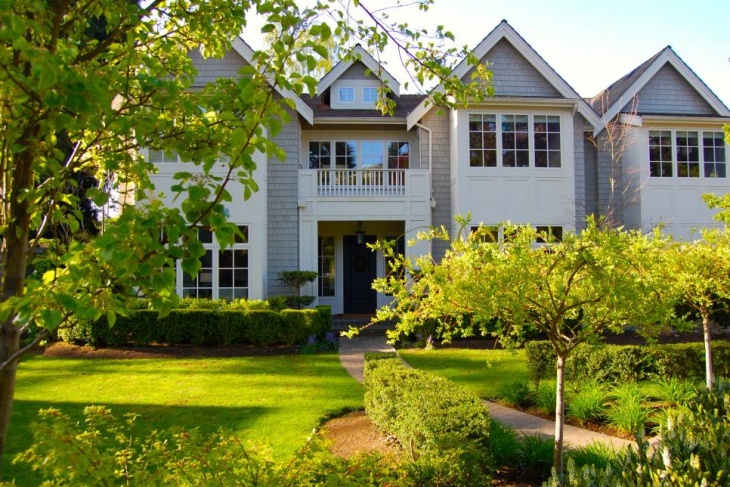 Large mansions with a spacious area in front look great when you design a raised rose garden in the front yard. There is a good contrast between the bright green turf in the yard with the tinted glass panes in the house. Get some plants large conspicuous flowers along the front walls of the house. When you crave for a splendid exterior look for your home, you can incorporate this design. 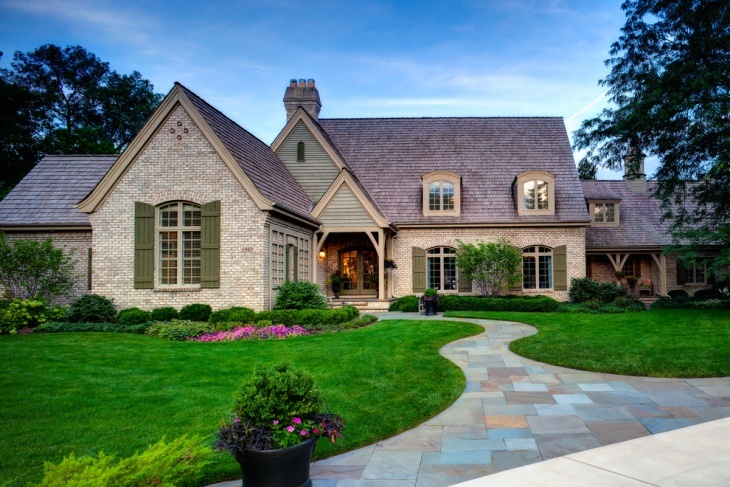 The trimmed turf on both sides of the paved walkway look graceful. The walkway is shaped in a senile manner and widens towards the exterior. Get a few potted plants along the walkway to get a better look. In contemporary homes, the sidewalk leads into steps leading to the upper floors of the building. 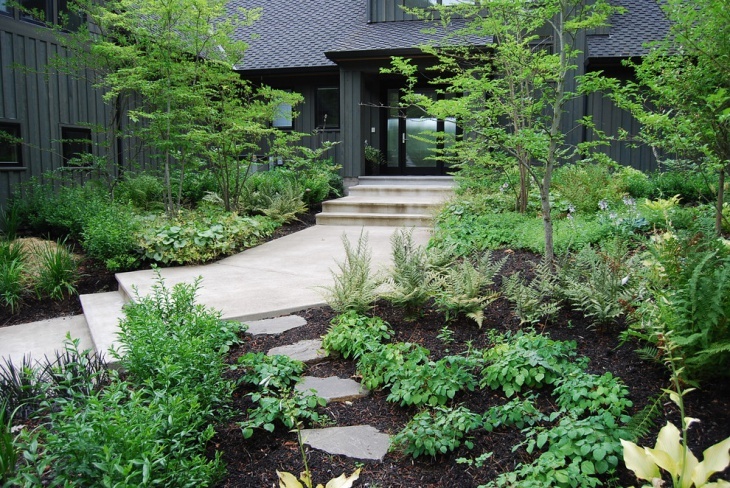 You can create a beautiful landscape along this walkway, with boulders on one side and green turf on the other. Get in touch with river rock-like boulders to make the beauty more pronounced and plant clusters of small shrubs among the rocks. 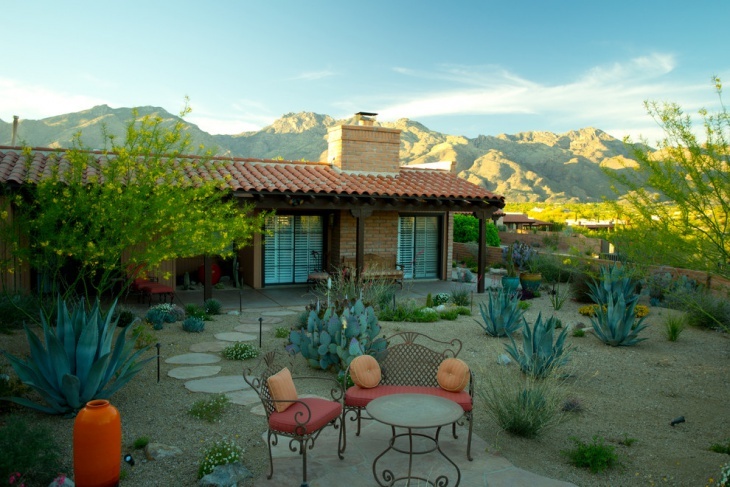 Trends of landscaping are evolving, and you can incorporate the DIY Landscaping Designs for residential areas as well. 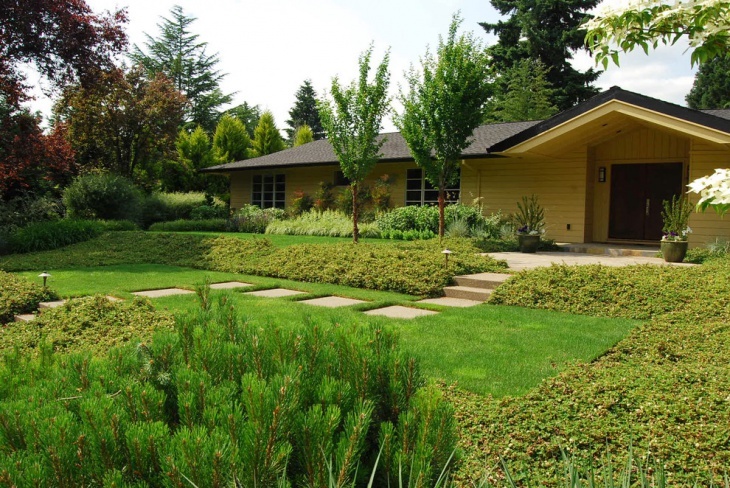 The front yard landscaping ideas should be designed keeping the available space in mind. Apart from the designs presented above, you may have your own ideas, so feel free to share them with us.